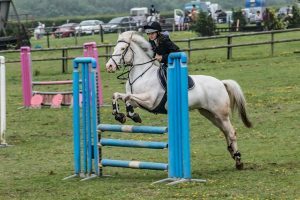 We host eight show jumping shows a year – these take place usually on a Friday or a Sunday during the school holidays and the schedules are available at least 6 weeks in advance from either website or the Equestrian Centre Facebook page. There are classes for all levels from mini cross poles where lead reins are allowed to 90cms plus. 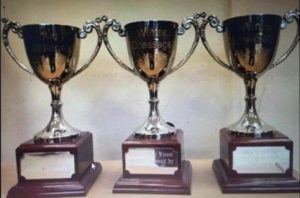 We run both Winter and Summer jumping leagues where points accrued during the season are totaled in March and August and Perpetual trophies awarded to the season winners. 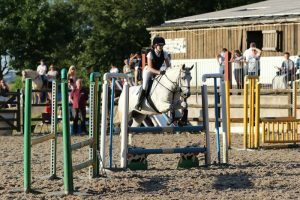 During the Winter these shows take place on the 40m x40m outdoor arena and in the summer on our large showjumping Field. 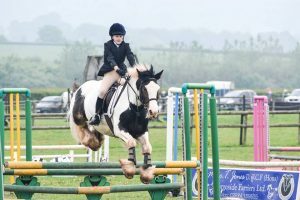 We also run Pony Club Dengie Debut and Winter League Preliminary rounds in our shows between July and December with qualifiers going forward to the Pony Club Dengie Area rounds in March each year. 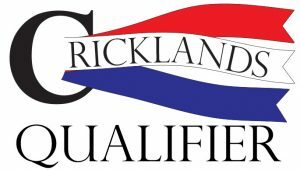 We are also a Cricklands qualifying Venue, qualifying cards for The Winter League Finals and the Championships of GB are available to those who jump double clears.